We Went Inside A Glowing Cave! The blue cave in Croatia was a full day tour jam packed with so much to do. 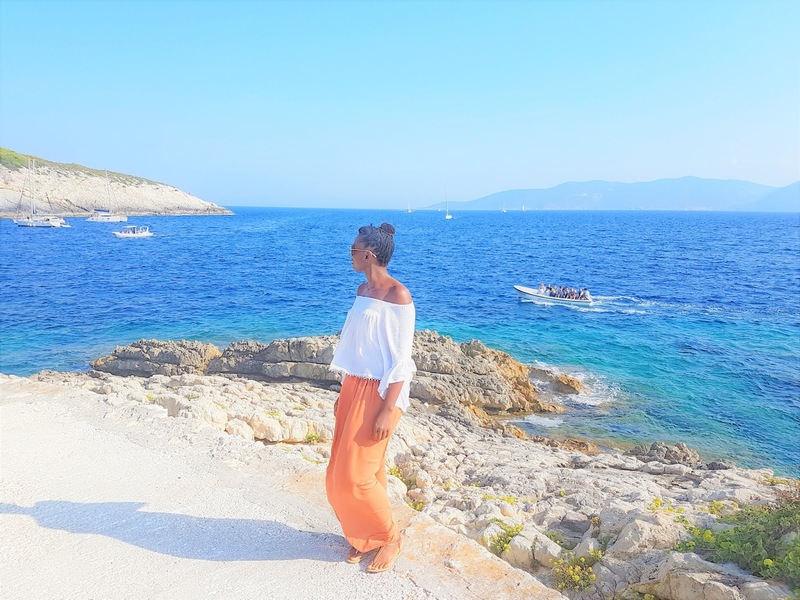 The blue cave Croatia full day tour was my favourite excursion in Croatia. Croatia is one of the best holiday destinations in Europe and the blue cave tour really is worth the price. Considering that it's a long day, with different stops, including the blue cave and amazing sights along the way. Split in Croatia. We boarded a speed boat. I was totally unaware that I was in for the ride of my life! Trying to stay put in my seat all day really worked my core! As we rode the waves at full speed I chuckled. Then my chuckles turned to groans as the waves splashed me on and off throughout the day. If you're after a gentle excursion where you can nod off at sea. This is not it! The first stop was a lengthy ride away from Split and I really enjoyed each stop. We were given info along the way and allowed to swim at some of the locations. We enjoyed three beaches on the blue cave tour. The small island of Vis has a small beach, which you have to swim over to if you wish to enjoy it. So wear your swimming gear before you arrive for the blue cave tour. The second beach was at the beautiful blue lagoon in Croatia. The clear blue water of the blue lagoon is at a lovely warm temperature. Perfect for taking a dip. The third beach on the blue cave tour was where we stopped longest out of the three beaches. Enough time for sunbathing and drinking at the bars. For the blue cave we had to board a smaller boat. The blue cave entrance is so small, you have to bend down as you drift into the magnificent blue cave. It was a flying visit, but still really worth it. 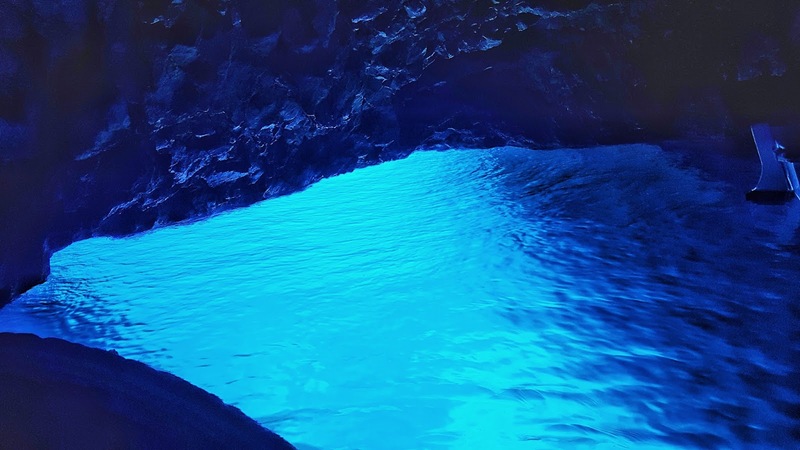 The waters are crystal clear and glow bright blue inside the dark cave. It's something worth seeing with your own eyes. Our last stop of the day was at the island of Hvar. Croatia itself is home to more than a thousand islands! Hvar has a small town center, where you can purchase souvenirs or grab a bite to eat. You've gotta try the delicious chocolate slushie at Icy bar. It's delicious, filling and topped with whipped cream. The ice creams on Hvar island are also really nice, with unique flavours like cheesecake or chocolate with rum and biscuit. At Hvar you can take a 30 minute walk to the top of the castle to enjoy an amazing view. Found this blue cave Croatia review useful? Subscribe to www.GoneSunWhere.com for some of the best holiday destinations. Nice article, Which you have shared here about the blue cave. 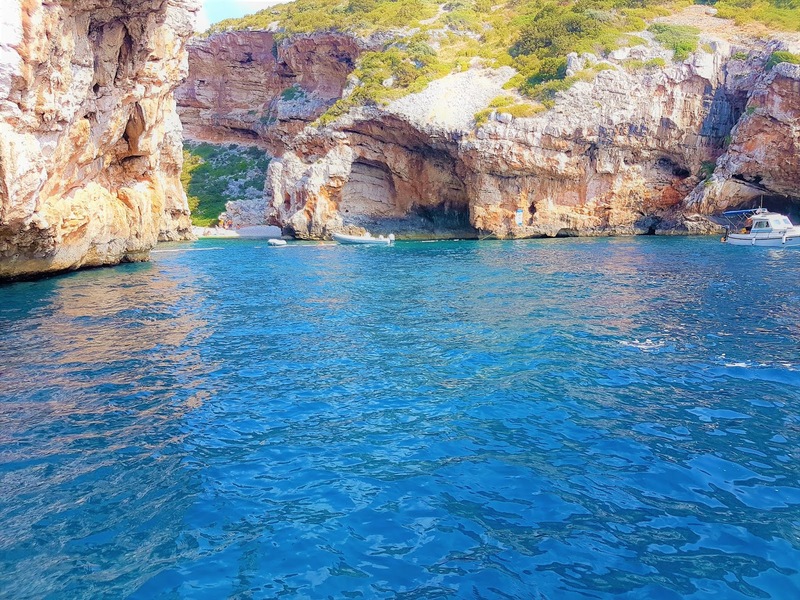 Your article is very informative and useful to know more about the Blue Cave Croatia. Thanks for sharing this article here.